HARARE – Leaders of the opposition MDC ALLIANCE in ZIMBABWE have rejected their supporters who staged violent protests in which SIX people were killed on ONE AUGUST in the capital, HARARE. ALLIANCE President NELSON CHAMISA and Deputy National Chairperson TENDAI BITI have this week appeared before a Commission of Inquiry into the post-election disturbances. Mr CHAMISA says his hands are clean because his party had not organised the violent demonstrations that almost shut down the city TWO days after the 30 JULY General Elections, whose results he still reject though. 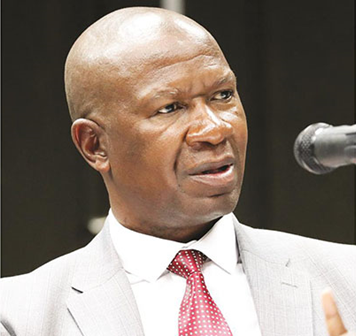 He says the people who were demonstrating or protesting on the fateful day were not doing so on the instruction of the MDC, its organs, or its leaders; and all of them should have been behind bars by now because they destroyed property. Mr CHAMISA also says a reportedly militant group under his party youth league comprises young people who are not violent and who do not own firearms; although he says they have the capacity. However, witnesses accuse the group of unleashing violence on anyone who challenges him and it attempted to burn MDC-T President THOKOZANI KHUPE and other party officials. Ms KHUPE and her colleagues had sought refuge in a village hut during the funeral of their Party Leader MORGAN TSVANGIRAI in the south-eastern district of BUHERA when the violent youths descended on them. Mr CHAMISA has instead challenged the Commission of Inquiry to summon President EMMERSON MNANGAGWA to account for the deployment of the army on ONE AUGUST. He says the Head of State, whom he does not recognise as such, despite a Constitutional Court ruling, should be held accountable for the SIX deaths that occurred during the riots. 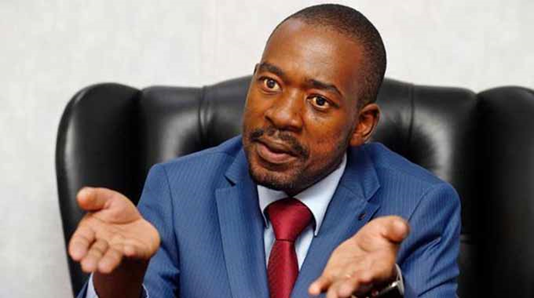 Meanwhile, Mr CHAMISA says his party still believes it won the 2018 General Elections and he should be the President of ZIMBABWE – failing which he will be staging demonstrations this THURSDAY to force the government to negotiating table. On the other hand, Mr BITI, who tried but failed to secure political asylum in neighbouring ZAMBIA after the demonstrations, has also denied inciting the tragic violence. Both men, the only ones to appear with their lawyers before the Commission so far, have further dismissed even campaign video evidence showing them threatening violence if they lost the JULY polls. They have appeared before the NINE-member international team after turning down invitations to do so in the past weeks during which they unsuccessfully made a number of demands for them to comply. When ONE of the Commissioners asked if Mr CHAMISA respects the national legal structures, and that the Constitutional Court ruling is final, he agreed; but still says he does not accept the ruling it made in favour of President MNANGAGWA. The opposition leaders have appeared before the Commission after military and police chiefs have testified in the ongoing inquiries, which are sometimes broadcast live on national television, dismissing reports claiming their soldiers killed civilians during violent protests. He says the soldiers were under the command of high ranking and experienced officers who are aware of the rules of engagement, either during civil unrests or in real combat, and had they fired AK-47 rifles there would have been more than the SIX dead bodies. Despite denials by the opposition leaders, the army says it cannot rule out the possibility that the SIX people who were killed in the ONE AUGUST post-election violence could be victims of a militant group in the ALLIANCE. He says what also further shows his soldiers killed no one during the demonstrations is that a number of journalists decided to report the events while taking cover behind the military lines, and no dead body was pictured lying in the streets. Brigadier-General SANYATWE says the reporters should have been able to capture people falling from AK-47 bullets and bodies lying in pools of blood if the troopers really opened fire into the crowds. He says he does not give much consideration to the video clip that has gone viral on social media, because no civilian has the guts to film such military operations. 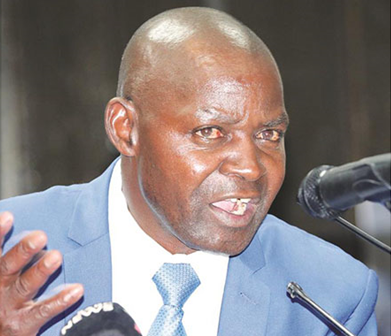 Defence Forces Commander General PHILLIP VALERIO SIBANDA agrees with his officer, accusing the MDC ALLIANCE of preaching violence before, during, and after the 30 JULY General Elections each time they addressed their rallies. General SIBANDA says they have reason to suspect the opposition leaders had planned to plunge the country into bloody clashes if they lost the polls; and when they realised they were losing, they sent riotous youths into the streets of HARARE on the day. General SIBANDA says anyone, members of the public, observers who witnessed the ballots, as well as journalists who covered them, who have evidence of his soldiers killing people, should come forward with it.